These are our best value plugs. 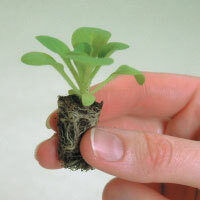 We've germinated the seeds for you and grown them into small plants. They will need to be potted on, which will take a little care, but you know how many plants you will get and the value is superb. 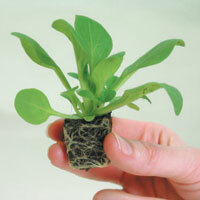 Each plant costs as little as 9p, and each pack contains 45 plugs. Delivered last week of March til end of April. These plants have been grown on in larger plugs and while they will still need potting on, they are larger and a little more robust. From as little as 25p a plant they can provide the perfect balance between value and effort. Each pack contains 20 plugs. Delivered early April to mid-May. 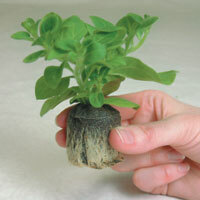 The great solution to busy time, these plug plants have been grown on to the point where they are ready to plant in your garden. They still represent great value and leave you free to sit back and enjoy watching them grow! Each pack contains 15 plugs. Delivered mid-May to mid-June. 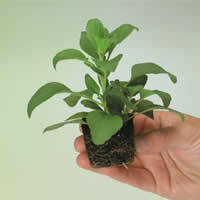 Some of the highest quality varieties have to be nurtured from cuttings. 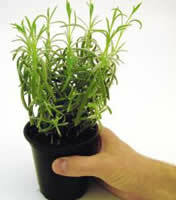 These are then pinched out to provide an extra-robust plant, which is ready to thrive in your garden or pots. For the very best results you want to pot these on in the greenhouse for a few weeks before planting them out in their final location. Each pack contains 6 plugs. Delivered April to mid-May. Please note: Because young plants grow quickly and must be delivered at the optimum stage of development, we are unable to alter these times or supply for specific dates within them, or hold orders for a later date.